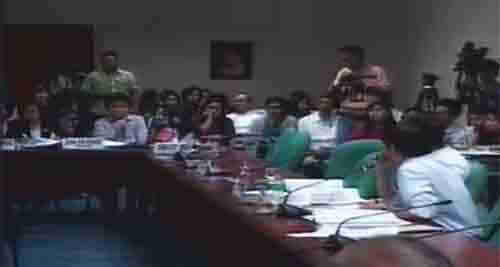 Live Stream of Philippine Senate hearing being conducted by the Committee on Local government chaired by Senator Ferdinand “Bongbong” Marcos, Jr. This entry was posted in BANGSAMORO, GOVERNANCE, MANILA, NEWS, VIDEO and tagged Bangsamoro Basic Law, Senate of the Philippines. Bookmark the permalink.